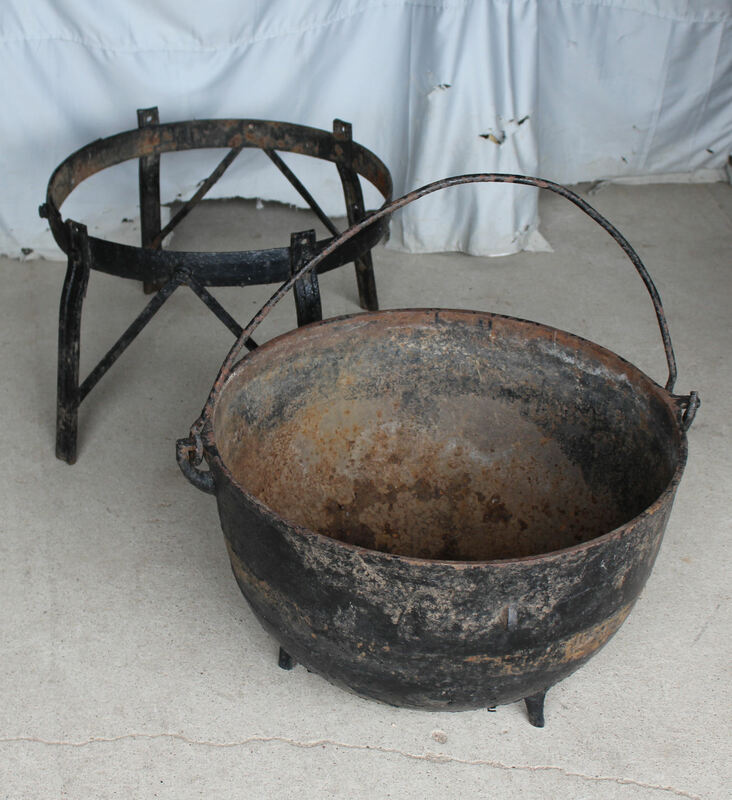 Antique Cast Iron Cauldron Scalding Pot Kettle With Hand Forged Stand. The kettle does have three feet that it can stand alone if desired. The iron kettle measures 24″ Diameter and 15″ height. Circa 1900.